Now you have an opportunity to shop with 15% discount. Please contact our administrator, she will check your information and will give you our promo-code. We hope that this offer meets your expectations and nearest plans as we've updated our first page. The main page of www.asap.ru reflects the latest changes where you may find "price of the month" with bright summer flowers bouquet and other flower arranegments that fit any budget. Dear customer! On the 10TH OF MAY we celebrate MOTHER'S DAY! So we congratulate all Mothers and wish to be happy! 05/05/08 Happy Mothers day and Victory day! Dear customer, we are happy to suggest the spring and summer collection of flower bouquets and baskets. Mothers day is coming soon and we'd like to inform you about our special promotion! all around the world with the Great Victory day - May, 9! We've also updated our bestseller collection for your easy shopping. 28/01/08 St Valentines day specials! Dear valued customer. Thank you for ordering flowers and gifts with us. We'd like to inform you that we've set your special customer discount of 20%. The discount will be active from January, 28 through February, 4. We also would like to suggest you FREE gifts for your friends and for you. 3) you may earn $15 at your account for filling out our questioner. New flowers for St Valentines! Soon coming St Valentines special promo! your order for flowers delivery. HIT the BUTTON and check if you win a FREE gift for your friend you send flowers to. Every 10th hit wins the FREE gifts! Try your fortune now! 7/12/07 TV morning program at ASAP guests. Our senior florist Tchitchilanova Galina perfoms the master calss on festive gifts wrapping. She shows how an ordinary gift could become a festive and a unique one. Local TV channel - morning program. virtual something but a real one. The new report of the ASAP florists charity act is available here Many thanks to all of our customers and people who pay attetion. Dear customer, thank you for being with us during the latest season.Hope you've enjoyed your vacations and holidays. We'd like you to join us in the new coming season and suggest you a wonderful option. Save time and money shopping with us. You can find it here: www.asap.ru in the Price of the month section. We keep on working to make your shopping with us easy and enjoyable. ASAP Team wishes you to have fun and to be your summer unforgetable! 1. New flowers and gifts for delivery across Russia, x-USSR. 3. Christmas and New Year specials are listed in the gallery and will be updated with new flower arrangements and gift baskets. Where you may find information on how to create a floral arrangement yourself, at home. Our florists share their experience and give details of floral art. Please, contact us at natalia@asap.ru to transfer your personal account to the new site with all your life-time discounts and account details. If you wish to change the discount plan, please send us the e-mail with comments. Dear customer, thank you for your attention. are able to provide together. And while sun is shining we announce you a special summer suggestion. that would last long and brighten the day of your recipient. Just imagine what a wonderful bouquet it will be! As we've promised before we are posting the first photo report about our first trip to the Orphanage. We've decided to post personal impressions and experience of every person who traveled to the orphanage instead of writing a formal something about what have been done. And thank you so much for your orders and your interest in our charity program. Our pictures and staff impressions could be find here http://www.asap.ru/asapcharity.php . Good news! We renew one of our articles! Hope the meaning of a flower and a picture of a bouquet will help you to make a good choice. So now you have two in one. And you can find it here http://www.asap.ru/index.php?alias=info&part=adviser . We'd like to inform you about a new charity program launched by ASAP team in the new coming season. We've been long in flowers and gifts delivery business. For more than 3 years we've been delivering flowers and gifts to Internats and orphanages. The photo reports you may see on this page. From June, 2006 we've launched a new charity program to support the orphanages across <?xml:namespace prefix = st1 ns = "urn:schemas-microsoft-com:office:smarttags" />Russia. As to start with the Alapaevskiy Orphanage (Sverdlovskaya Oblast, Russia) to help kids to take part in the State football cup among Orphanages. Please be sure that from now on each of your order brings $3 to the account of the Orphanage. We plan to provide further help to organize other projects for kids. Each project will be reported on this page with pictures and details. The report of the start of the program and the actual help that we managed to provide with our customers' help will be posted between Jule, 10 - July, 15 All people providing separate help for kids living in Orphanages will be listed as our friends, all organizations joining us in the charity act will be listed as sponsors with the logos and descriptions. 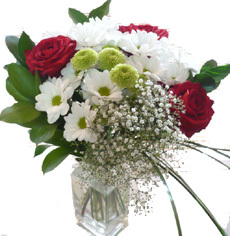 Our florists work to suggest you a variety of new flowers and gifts for delivery across Russia, FSU. Thank you for your time and attention and being our customer. Natalia Konovalova - director of ASAP flowers and gifts delivery network. celebrate Western Easter on April, 16 and Orthodox Easter on April, 23. 21/2/06 8th of March notification and prices. care in the most extraordinary ways. We'll try to make this special day unstressful for both you (as the sender) and for your beloved, who will be waiting for your attention and care. As usual we like to advise you of impending price rise and we anticipate that flower prices from our suppliers will be 30 % higher by 1-2 March. However, for now we are continuing to accept orders based on the average price we have been charging throughout 2005.
for further assistance and additional information. still celebrated on February, 14. If you didn't know then this would help you to join the rest of the world. any political, national or religious organizations. definitely need the suggested below. that may simplify the process of choosing the right gift. Hope you will find the information useful. CIS countries and regarded to be either religious and public holiday. their close people and friends. We are ready to suggest a Dozen roses for sale! the services area AND delivery factor reduction to most places. Soon we plan to reduce delivery factors to other countries. 6/05/05 Greetings for Mothers day! OR at the main page www.asap.ru as Bestsellers! 27/04/05 Orthodox Easter, May 1st! Dear customers, this year Orthodox Easter comes on the 1st of May. notification at the e-mail address provided in your registration form. eggs in order to present them to their close ones. care of relatives and friends. Thank you for cooperation. Hope you'll enjoy coming Easter with us! and Orthodox Easter on the 1st of May! 22/02/05 The 8th of March celebration. Dear customer,we gladly present new flowers arrangements for the International womenвЂ™s day celebration. Here you may find sweets and flowers composed in a nice basket with a teddy bear. We've been investigating the demand and now we are ready to suggest a mixture of most popular and lovely items composed in one and the same basket for delivery to any city and CIS country. The basket is decorated with soft coloured flowers that express tenderness and delicacy of new-born or lasting feelings. You are welcome to find the basket on the main page presented as a price of the month item. 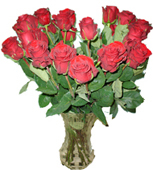 Here you may also find well-known roses and chrysanthemum arrangements with greenery at a very reasonable prices. All arrangements are presented and delivered in a lovely hand-tired wrapping or decorative floral elements. or just choose вЂњrosesвЂќ section to shop for roses and bouquets with roses of different colours. We keep on delivering huge amount of flowers to main destinations at wholesale prices. Please, do proceed with the orders for huge amount arrangements or for the certificates not later than the 4th of March. WeвЂ™d appreciate any of your feedbacks, out-of-ordinary order or any suggestions. 26/01/05 Happy St Valentines day! Make your surprise distinctive and unforgettable! We hope that the wide collection of lilies, roses and other flowers would be a lovely surprise for your beloved, relatives and friends. We also accept order for huge amount of flowers, for example 50, 100 and more roses, lilies or tulips arranged in a basket or with greenery. Please, feel free to contact us at admin@asap.ru to send a request for the huge amount flowers arrangements and we'd be pleased to provide you with the wholesale prices. the New Year gifts and flowers. We are sure she'll consider your choice funny and very caring. 12.11.04 new discounts and products update - whats new section, multiple order discounts. 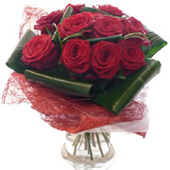 the site easily and find our new suggestions from our florists. deduct 5-19% if you purchase more than 1 item from the gallery at once. New flowers baskets, arrangements and bouquets you may find here http://www.asap.ru/index.php?alias=view&artid=50 Here are tulips available in a glass vase, lilies and gerberas new items update! Hope you find our new suggestions useful. A dozen of pink roses show the romance of life and love. Be romantic and your sweetheart will treasure each moment of being together. All her thoughts will be about you, with you and again for you. 17.08.04 Free caling cards for all customers with all orders. From now all orders go with free calling time to any country! Make the order now and call your friends and beloved for free! More than 1 hour on phone with your beloved! No additional charges, no country restrictions! Top quality phone-to-phone connection! You get unique opportunity to call your friends, relatives and beloved for free. 2. We send you instructions on how to proceed with the phone and give you the unique pin-number to use the system for your calls. 3. This is a phone - to - phone service. All that you need is just to follow simple instructions. It's easy, top-quality phone-to-phone connection to any country and any place, any time absolutely for free for www.asap.ru customers. This is not the PC to phone calls, this is a regular phone-to-phone connection. 4. You get top quality phone connection, more than 1 hour of calling time to any country (USA, Russia, Canada, India etc) and that is absolutely for free for our customers! 6. The access to phone-to-phone calling system will be provided by the administrator in 24 hours from the moment you proceed with the payment for your order. From that momnet you may use your calling time for any calls, local or international without any time and destination restrictions. We've launched new sites for main destinations for the convenience of our customers. 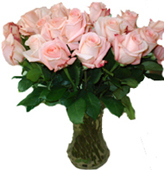 From now you may send flowers and gifts to Moscow at http://moscow.asap.ru - to St Petersburg http://petersburg.asap.ru - to ekaterinburg http://ekaterinburg.asap.ru - to Ukraine http://ukraine.asap.ru or at www.sendflowersukraine.com - to Belarus http://belarus.asap.ru -to Kazakhstan http://kazakhstan.asap.ru Here you may see the easy order form on the main page and limited range of products. We've posted the price of the month on the home page of the site. Now you may see the discount price for the item. Each month the item will be updated. Also you may see main destinations on the home page of the site. So, you may check the coorect destination country for your order. On the main page you may also ready about some peculiarities of Russian life, traditions, travellers tips etc. The information is renewed each month and could be of some interests to those who travel to Russia or have contacts here. 01.05.2004 Flowers for corporate customers and discounts for regular customers. We've started a corporate customers program that allows companies to place multiple orders with discounts. Also, most of our customers already have discounts of 5, 10, 15 and 20% depending on the total orders amount spent with www.asap.ru We are proud to declare the discount for all customers who used our services twice or more times. Take your chance to get first class professional services with discounts. By clicking "Our florists across Russia" button in the menu list on the left size of the screen, you may see the florists and flower shop that are in our flowers and gifts network. You may also see the experimental bouquets created by our florists. So, you may get the idea of the network and services we provide. This section is updated constantly. Each month we post more pictures of our local florists. While making this order, please do care for comment for our florist. The more precise you are in explaning the occasion or the idea of the gifts the more accurate our florist will combine the flowers for your special occasion.